Elon Musk gets thousands of tweets from the public every day. It seems like whenever he has some news he filters through those tweets to find who is asking a question about an announcement he is ready to make. In a recent tweet reply to someone with handle @gucci_mau, who asked for “timeframe for Model 3 final unveil” event, Mr Elon replied, “July”. It is about time Tesla revealed the final version of the highly anticipated Tesla Model 3 electric car. Musk has previously revealed that this car is going to be fully capable of becoming a self driving car. 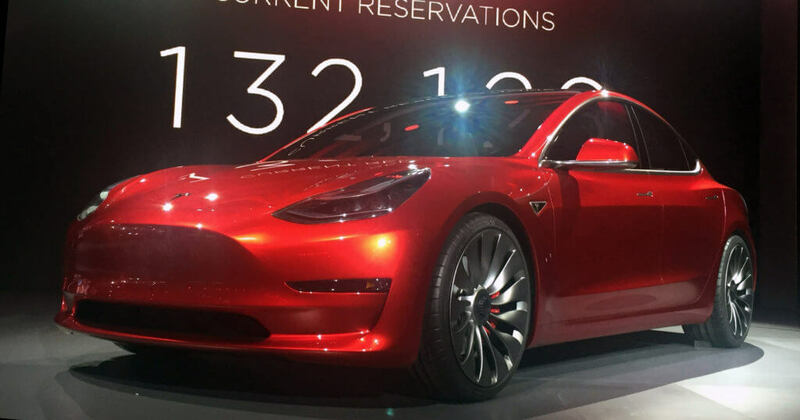 Tesla Motors first revealed the Model 3 back in March 2016. At that time, Tesla had not decided on the final design of the car. Tesla website describes Model 3 as having a range of 215 miles per charge, capable of supercharging with Tesla’s self described “World’s Fastest Charging Station”, will go zero to 60 mph under 6 seconds, and is designed to achieve 5-star safety rating as do Tesla’s other expensive cars. For all of the qualities described above, and the admiration Tesla has acquired because of innovations on the previous models, consumers are excited to see the final unveil of the car. Excitement is expected as we all know that Model 3 became the first ever product to reach record number of pre-orders of over 400,000 before even the product has been fully designed.